You can bring creativity, simplicity and elegance to your design just by constructive use of type. If we say “You can’t design without Type” then it wouldn’t be inappropriate. As a passionate typography lover, I’m always in search of great resources for fulfilling my needs of typography related news, articles, inspirations and new development in world of type. 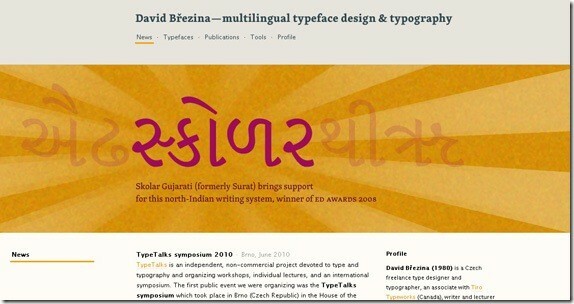 Today we share some great blogs and websites related to typography to fulfill your “Type Need”. So pick the best blog of you interest from the list we have compiled below. 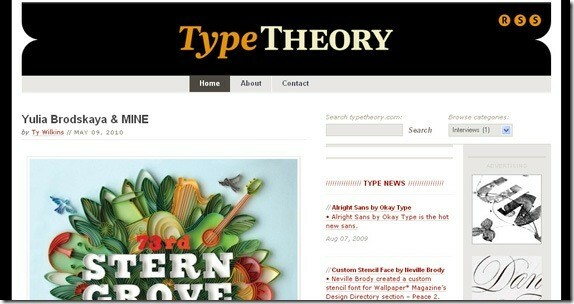 I Love Typography is a blog completely devoted to typography, type, fonts and typefaces which was founded in 2007. It discusses the origins, design and function of type, this blog also provides inspiration and news on the world of typography. Betatype is an independent type foundry run by Christian Robertson providing in-depth look at some professional typography techniques. As Christian Robertson also is a type designer; this blog also provides fonts designed by him. FontFeed is founded by FontShop’s co-founder Erik Spiekermann in 2008 which provide comprehensive guide of font recommendation, inspirations from real life, typographic technique, and digital type. Type Directors Club is an international organization for all people who are devoted their everything to excel in world of typography both in print and on-screen. 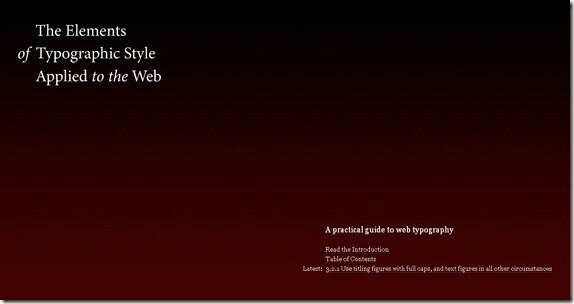 It provides useful articles and videos related to type. They also organize events and competitions making it easy for you to showcase your skills. 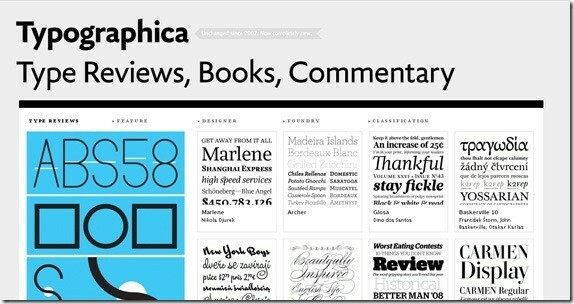 Typographica presents reviews of books on typography and font design and discussion of type and font design. 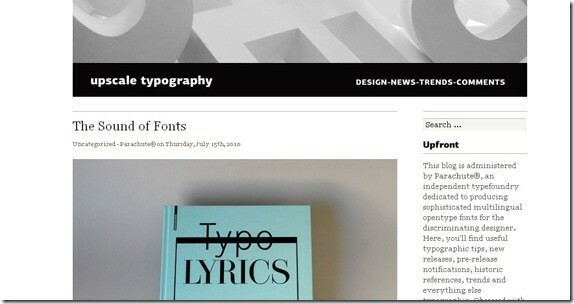 At Typophile you will we able to access active discussion boards, font and design news, recourses and much more. Use Typography is an excellent showcase of websites that have good typography for inspirations and to promote useful typography principles in web design. 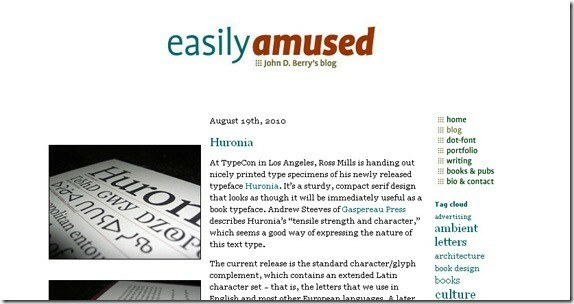 Typographer John D. Berry’s blog “Easily Amused” covers typography from a broad perspective. Topics include contemporary text design, history, advertising, and more whimsical topics. Type For You is a blog on typography providing news, reviews, events and discussion of letter design and typography community from all aspects of urban culture. They discusses what is happening in the world of typography and other interesting articles of interest for designers. Letter Cult is an inspirational typography blog which showcase designers and artists of type design. It features diverse artists ranging from graphic designers, sign painters and calligraphers to graffiti artists. The Ministry of Type is a weblog by Aegir Hallmundur, about type, typography, lettering, calligraphy and other related things. It also presents design inspiration and discussion of typography in digital media. Nice Web Type is a place for extreme website typography. Swiss Legacy is an awesome typography blog providing excellent resources and information about typography including videos, books, reviews and type contests to test your typography skills. Ty Wilkins founded Type Theory in January of 2009, which is a journal of contemporary typography featuring news, views, reviews and interviews. Typedia is a Shared Encyclopedia of Typefaces specially created to classify typefaces and educate people about them. 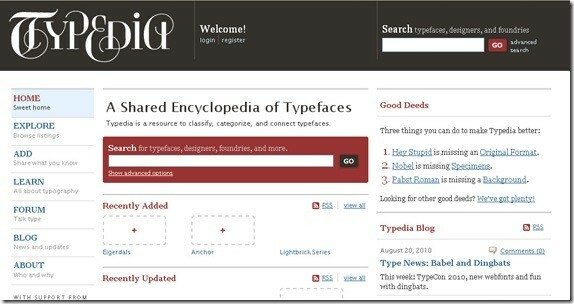 Anyone can join typedia, add, and edit pages for typefaces or for the people behind the type. Upscale typography is run by an independent type foundry named Parachute. In this blog you will find useful typographic tips, new releases, pre-release notifications, historic references, trends and everything related to extreme typography. Villatype is an inspiration blog which features regular visual record and discussion of type and lettering found in the public places. If you have something related to type and lettering in any public space and want to share it, this blog will accept your submissions. 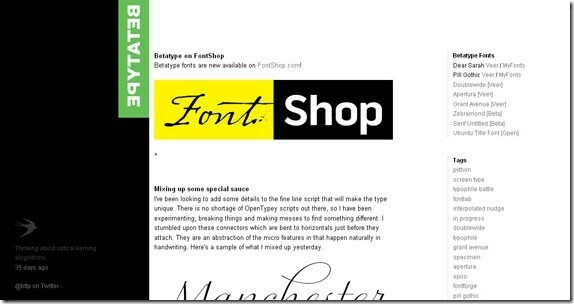 This blog is a practical guide to website typography along with the element of fonts applied to web design. 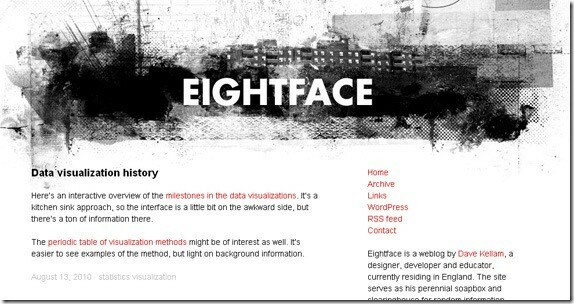 Eightface is run by Dave Kellam, a designer and developer. It serves as a perennial soapbox and clearinghouse for random information. 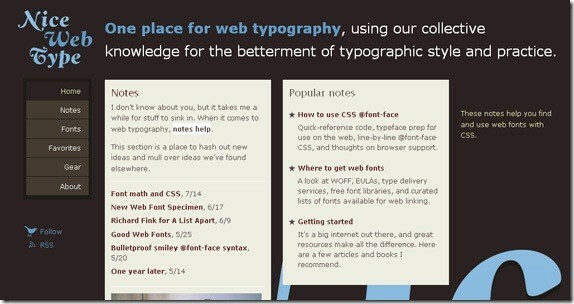 This blog is in-fact a collection of useful typography related links and resources. This blog is all about Typography, Letterpress and Printing history. If you like to study history and also have interest in typography then this blog is heaven for you. 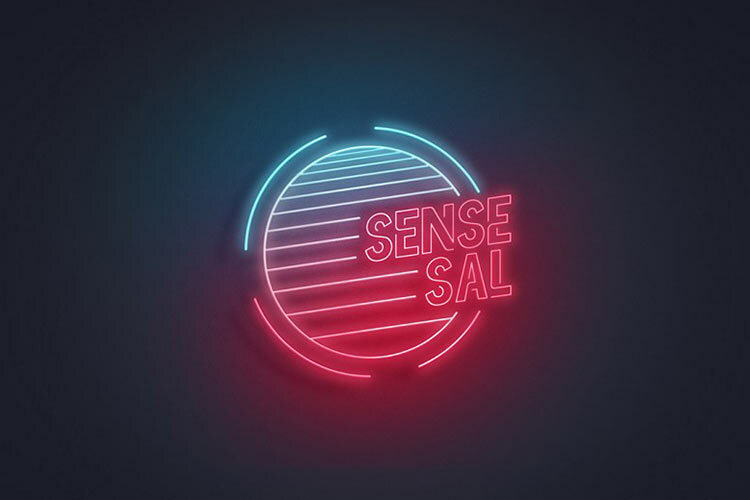 This blog is run be David Březina who is a Czech freelance type designer and typographer. 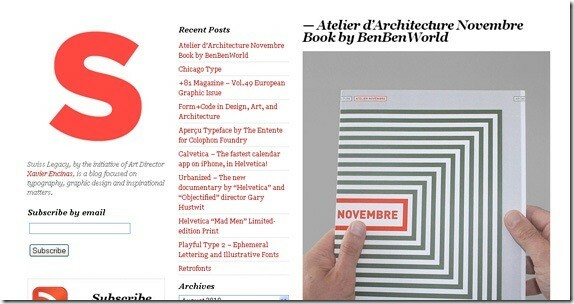 You can find his typefaces, typography related news and articles.